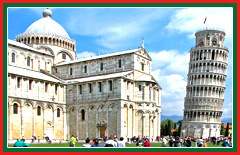 A La Carte Italy Tours offers exclusively private driver-guide tours. All our tours are custom-made to suit your needs, tastes and dates, and are run on an exclusive basis. We never mix passengers who do not know each other. The Central Italy Tour offered by A La Carte™ Italy Tours is a suggested itinerary with departure in Florence and arrival in Rome, which has a duration of 10 days. If you prefer the itinerary to be run from Rome, it is possible too. 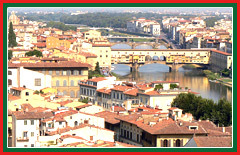 This tour explores central and western Italy, with escorted guided excursions in the Florence, Rome, and Naples areas. The Amalfi Coast, Mt. Vesuvius, and the Leaning Tower of Pisa are all visited on this tour, and a private local guide provides insightful commentary in Naples. 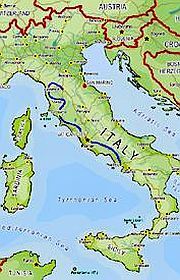 Tuscany, Lazio and Campania are the Italian regions crossed on this tour. Your very own chauffeur picks you up from Florence airport (pick up from Rome, and transfer to Florence, are also possible). The Basilica di Santa Maria del Fiore is our departure point for the city of Florence walking tour. It is Florence's cathedral. It is made of marble of various colors. Its building started in 1296. Nearby, the 14th century Palazzo Vecchio is a fortress-shaped town hall. It is located on the Piazza della Signoria square. The Loggia della Signoria is located on the same square. It features allegorical figures, a statuary and wide arches that were admired by Michelangelo. Next door, there is also a copy of Michelangelo's David. The original can be seen at the Accademia Gallery. We'll also have a look at the Basilica di Santa Croce (Basilica of the Holy Cross) with the with tomb of Michelangelo. 3 nights in Florence / Fiesole / Chianti area. Travel to the famous Tuscan hills and Chianti wine birthplace. Your A La Carte Italy Tours chauffeur takes you on a private discovery of this heritage area. Greve is a town in the Chianti area. It has an "out the beaten track" feel, although it is only 20 miles away from Florence. There is a Franciscan monastery, and a square that is actually... triangular in shape (not a very common occurrence on the Old Continent). Nearby, the tiny hilltop village of Montefioralle dates back to 931 AD. It is famous for its wines. After a typical lunch, travel to San Gimignano. The cathedral was built in 1148 and has breathtaking frescoes in the Siena style. The village had 70 odd tower-houses (some as high as 150 feet) as symbols of the wealth and power of their ancestral owners. In the past, other towns of Italy also had their towers, but they have mostly been destroyed; San Gimignano has preserved 14 of its towers. The village in its current form dates back to the 10th century AD, although it has much older origins dating back to pre-historic times. Your A La Carte Italy Tours guide will take you on a walk that includes the Piazza della Cisterna. It is the historic and commercial center of town. The Torre del Diavolo and Torri Ardinghelli towers, the octagonal cistern, and the torture museum are all within that square. Relax in a café, walk to catch more sights, or learn the infinite stories of the area. 2nd night in Florence / Fiesole / Chianti area. Your tour of the village of San Gimignano will allow you to experience the luxurious 14th century frescoes that decorate the Collegiata di Santa Maria Assunta, and the Torre del Diavo and Torri Ardinghelli towers, which stand in the Piazza Della Cisterna. Traveling to Pisa and its Leaning Tower, yet another UNESCO World Heritage Site. Your private A La Carte™ Italy Tour guide will point out the wonders of the Piazza del Duomo (Cathedral Square), baptistery and cemetery. The Leaning Tower is in fact a bell tower next to the church. It began leaning early after the construction in 1173, because the foundations had been improperly prepared. Your A La Carte Italy Tours minivan takes you then to Lucca, a city dating back to the Etruscan times. Lucca is famous for its walls that surround the historic part of the city. You will have the opportunity to explore the Cathedral, the Church of San Michele in Foro, the Guinigi Tower. This tower was built for the Guinigi family in 14th century. It has gothic style windows. A distinct feature are the oak trees growing on the roof. It was a tradition to plant oak tres on rooftops, but few of these roofs (understandably!) survived so many centuries. 3rd night in Florence / Fiesole / Chianti area. In Pisa, be guided through the Piazza del Duomo where you can view its four medieval monuments- the cathedral, the cemetery, the baptistery, and the iconic leaning tower. 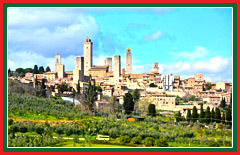 Short trip to Siena with your A La Carte Italy Tours private minivan. 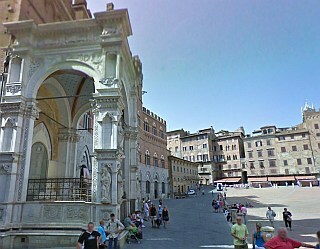 See the famous medieval Piazza del Campo. The famous Palio is held here twice a year (2 July and 16 August). Admire the Palazzo Pubblico (public palace) built in 1297, and its unusual secular frescoes. Learn the history of Siena Cathedral, with its interesting horizontal lines of light and dark marble. Comfortable drive to Tarquinia. Visit Museo Nazionale Tarquiniam, Necropolis and Ara della Regina. The Etruscan necropolises and their tombs allow us to learn about this ancient civilisation older than the Romans. Transfer to Rome and 3 nights in Rome area. Visit Monterozzi, the Necropolis of Tarquinia, and view the early Etruscan residential architecture of its 6000 graves and 200 ancient painted tombs, which date back as far as the 7th century BC. Enjoy a full day in Rome with the expert guide of A La Carte™ Italy Tour. The Roman Coliseum (also called Colosseum or, in Italian, Colosseo) was built in 70 AD. It is an amphitheater. It could originally seat 80,000 people. It was used for gladiatorial games and other large scale shows in Roman times. Nearby, the Fori Imperiali (Roman Forum) is a group of contemporary temples' and basilicas' ruins. The Arch of Constantine is younger: built in 315 AD. Your A La Carte Italy Tours private guide will talk at length about its artwork and relief panels. The Palatine Hill is the next stop on our walk. The legend says that the Lupercal was located here. The Lupercal is the cave where Romulus and Remus, the mythological founders of Rome, were found by the female wolf that nursed them. See the Bocca della Verita ("Mouth of Truth"). According to popular belief, if you place your hand in the mouth of this face carving and say a lie at that time, your fingers will be chopped off! Your walk takes you later to the Capitol Square (Campidoglio). It is a group of Museums on top of the Capitoline Hill. 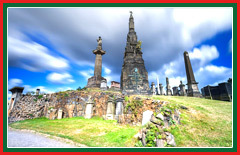 It is said that the first Romans settled the city from here in prehistoric times. The current Renaissance style buildings were mostly designed by Michelangelo. Your travel in time continues as we walk to the Trevi Fountain. This baroque construction dates back to 1732, but is fed by a much older canal, which is over 2,000 years old. Climb the Spanish Steps, so named because they led a small Spanish enclave in Rome. In the evening, enjoy some typical Roman foods in one of the gourmet restaurants hand-picked by A La Carte Italy Tours. 2nd night in Rome. 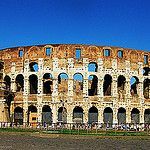 Experience a personally guided tour of the Roman Coliseum; an expansive amphitheatre built in 70 AD. View the nearby, ancient remains of the Roman forum, then continue on to Palatine hills where you can see the legendary Bocca Della Verita. A visit to Rome would not be complete without traveling to the Vatican. The world's smallest state is a Roman enclave. St Peter's Square had been designed by Bernini. It took 120 years to build the Basilica. It is now one of the holiest sites in the world. According to tradition, St Peter (one of the twelve apostles of Jesus) is buried here. Michelangelo's Pieta, a sculpture showing the body of Jesus held his mother Mary after the crucifixion, is displayed here. Your A La Carte™ Italy Tour guide takes you on a private visit to the Vatican Museums where pieces of art accumulated by popes over the ages are on display. The Sistine Chapel, with its ceiling painted Michelangelo, is the most famous part of these Museums. Your personal A La Carte Italy Tours minivan takes you to the Villa d'Este in Tivoli. It was built in the 16th century and remains exemplary of Italian building and garden design. Over a hundred fountains, balconies, terraces and a grotto are some of the features of these heritage gardens. A short trip away is the Villa Adriana - Hadrian's Villa. Built in the 2nd century AD it is, in fact, a group of 30 houses. Hadrian, who was very well traveled, used designs spotted during his travels to Greece or Egypt. Many sculptures had been found on site. One of them is the famous Discobolus, a discus thrower. 3rd night in Rome area. 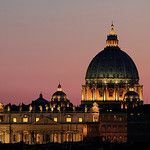 Visit Vatican city and enjoy a private tour of its historic landmarks including the renaissance architecture of the 16th Century Basilica of Saint Peter, the luxurious Vatican palace, and Michelangelo's famous Sistine Chapel ceiling. On the way to Naples, let's stop at Montecassino and visit the Abbey and National Archaeological Museum. This is where the Benedictine order started. In 1944, the Battle of Monte Cassino took place here, and 74,000 soldiers died. Reach Naples in time for lunch. This is the city where pizza originates from; so lunch may be in an authentic pizzeria. The Castel Nuovo is a fortress by the Mediterranean Sea. It was built in 1282. The Teatro di San Carlo is the oldest opera house in Europe (1737). The Piazza del Plebiscito offers interesting views of the church of San Francesco di Paola and the Royal Palace (18th century). Ascend the Hill of Posillipo with view over the Bay of Naples and Parco Virgiliano with splendid views and a cascading fountain. Finally, your A La Carte™ Italy Tour guide will talk about the Amphitheatre of Flavius (one of the largest in Italy). 3 nights in Positano. Your custom personal tour travels to Naples, the birthplace of pizza. Experience an authentic pizzeria. Then, view famous landmarks including the 1282 Castel Nuovo, and the oldest opera house in Europe; the Teatro di San Carlo. Catch a boat to Capri island. From the Marina Piccola, your personal A La Carte Italy Tours guide will lead you to the Belvedere of Tragara. The beauty of this island is so intense, that many novelists were inspired to include it into their stories. Weather and tide permitting, we'll boat to the Blue Cave. Also, a visit to the Villa San Michele is scheduled; it offers panoramic views of the Bay of Naples. Afternoon ferry back to Positano. 2nd night in Positano. Experience a private tour of Capri island and view luxurious beach resorts and shops alongside a beautiful landscape and remains of ancient architecture, including the Blue Grotto sea cave, and the ruins of Imperial Roman villas. The Amalfi Coast is mainly made of rocky cliffs. 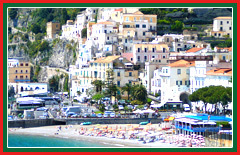 Travel on the Amalfi Coast. Your guide will show the Duomo Sant' Andrea (11th century). 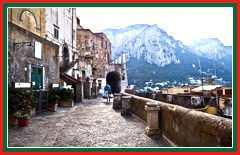 A stroll through the narrow streets of Amalfi will lead us to the Diocesan Museum. See also Vettica Maggiore village. Let A La Carte Italy Tours surprise you with a fantastic lunch. Drive to the Vallone di Furore Gorge and enjoy the local limoncello, a lemon liqueur made with lemons grown on the Amalfi Coast. 3rd night in Positano. Travel along the rocky coastline of Amalfi and visit the the 11th century Duomo Sant' Andrea. Tour the Diocesan museum and view its range of artworks from the Middle Ages through to the twentieth century including the Ivories of Salerno; an expansive collection of stained glass tablets. 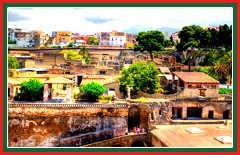 Travel to ancient Greek settlement Herculaneum founded by Hercules. It was destroyed at the same time as Pompeii, but offers more compact sightseeing, with less crowds. A pyroclastic flow killed most of the residents, but preserved houses for us to understand the life in 79 AD. 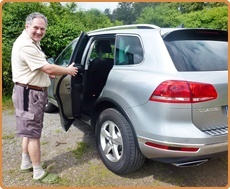 In your A La Carte Italy Tours minivan, let your driver show you the views from the slopes of Mt Vesuvius, before heading back to Rome airport. This is the end of your "Central Italy Tour". Your private tour of the archaeological ruins of the town of Herculaneum will allow you to imagine what life was like for the ancient Romans. View the remains of the atrium, bath houses, and villas that were destroyed by the volcanic pyroclastic flows of Mount Vesuvius in 79AD. To enquire or book this tour, please either fill out this form, or email us to custom@italyprivateluxury.tours at least 3-6 months ahead. Thank you! Lucca is a city in the northern-central part of Italy. The city is situated on the River Serchio and is considered to be very fertile. 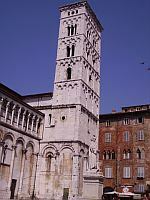 The city of Lucca is also the capital of the province of Lucca. 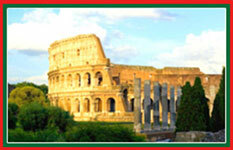 A La Carte Italy Tours travels to this city to view the ancient city walls of the Renaissance era. The city houses many academies and libraries. The Academy of Sciences, founded in the year 1584 is the most famous of all the academies. The city houses many basilica-form churches, many of which date back to the 8th century. Visitors can also visit places such as the Piazza dell, Anfiteatro, Piazza Verdi, Piazza Napoleone, the Piazza San Michele, the Ducal Palace, etc. Naples is a very important city of Italy and it is the capital of the region of Campania, in the province of Naples. 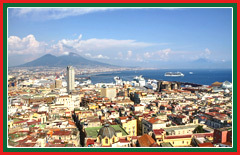 Naples is known to the world over for its culture, history, art, architecture and gastronomical pleasures. People from all over the world travel to Naples and experience the beauties of the place. The city has been declared as a World heritage Site by the UNESCO. Naples is home to many well known museums, such as the Naples National Archeological Museum, the Museo di Capodimonte, the Pietrarsa Railway Museum, etc. A La Carte™ Italy Tour will show you through the museums of interest to you. Naples also has a number of churches. 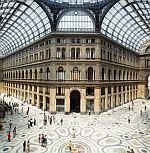 The Piazzas of Naples are also considered as among the nicest in the world. Dominating the scenic view of the Vatican City is the dome of the largest and most splendid church of Roman Catholicism. A La Carte Italy Tours takes you here to see the marvels of Christendom and witness where St. Peter, one of the twelve apostles and the First Pope was buried. The Church was built in 1506 and was consecrated in 1626 by Bramante and Michelangelo. It includes a facade done by Carlo Maderno with magnificent colonnades in the square designed by Bernini. The Sistine Chapel is the official chapel of the Pope. This is where the conclaves for Papal Elections are done. A private guide takes you to this building built between 1475 and 1483 by Giovannino de Dolci after the plan of Barcio Pontelli for Sixtus IV. It features a Roman mosaic pavement done during the 15th century. 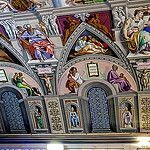 It has various frescoes on the ceiling designed by Michelangelo, Raphael and other artists at that time. Near the Sistine Chapel is the Pauline Chapel built by Antonio da Sangallo which features frescoes of St. Paul and St. Peter by Michelangelo. The Flavian Ampitheatre or Colosseum is at the heart of Rome and is considered the largest Roman ampitheatre ever built by Vespasian. The building was finished in 80 A.D. and used to accommodate 50,000 spectators that were kept satisfied with endless successions of entertainment like gladiatorial games and wild beast hunts. It was also here that many Christians suffered martyrdom. Strong earthquakes in succeeding centuries damaged the building. Today, a private chauffeur-guide takes you to this wondrous ruin. 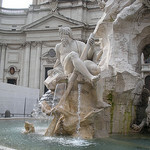 Bernini was a sculptor and architect, and the leading advocate of the Baroque style in Rome. Born in Naples, he showed early skill in modeling, and won fame and riches by his busts and sculptured groups. "Apollo and Daphne" is one of his masterpieces. As a boy, his amazing skill as a carver attracted the attention of influential churchmen. Throughout his long career, he worked for popes and cardinals, and transformed Rome, especially in the 17th century. 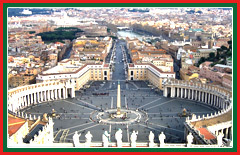 A La Carte Italy Tours shows you his chief architectural works like the baldacchino in St. Peter's. Be amazed at the completion of the basilica and the magnificent piazza colonnade, the church of San Andrea Al Quirinale, the restoration of San Giovanni Laterano and some beautiful fountains. Romulus and Remus are twin brothers according to Roman legend, born to the Vestal Virgin, Rhea Silvia and Mars. Their mother was put to death upon the order of Amulius, King of Alba, and they were cast adrift on the Tiber in a cradle. They were rescued by a she-wolf that suckled them. Eventually, they were adopted by a shepherd and became shepherds themselves. However, they were accused of robbery and were presented to their grandfather Numitor, brother of Amulius, who recognized them. They slew Amulius and had Numitor replace him. A private luxury tour takes you to Lupercal cave, which marked the remembrance of the she-wolf who found the two brothers.